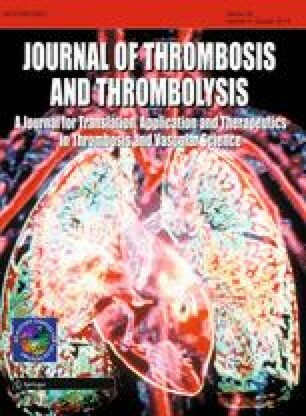 ABO dependent variation in von Willebrand factor (vWf) and procoagulant factor VIII (FVIII) is a plausible mechanism for modulating perioperative hemostasis and bleeding. Group AB has the highest and group O the lowest vWf and FVIII levels. Therefore, we tested the hypothesis that ABO blood group is associated with perioperative transfusion and subsequent survival after coronary revascularization. This retrospective study combined demographic, operative, and transfusion data, including follow-up for a median of 2,096 days, for consecutive aortocoronary bypass (CABG) and CABG/valve procedures from 1996–2009 at a tertiary referral University Heart Center. Between group differences were compared by a Kruskall Wallis test, and hazard ratios [95 % confidence intervals] are reported for mortality risk-adjusted Cox proportional hazards regression analysis. From 15,454 patients, follow-up records were available for 13,627 patients: 6,413 group O, 5,248 group A, 1,454 group B, and 435 group AB. Packed red blood cells were the most commonly transfused blood product (3 [0–5] units), while group AB received 2 [0–5] units (Kruskall Wallis Chi squared value for between group differences = 8.2; p = 0.04). Group AB favored improved long-term, postoperative survival (Hazard ratio = 0.82 [95 %CI 0.68–0.98]; p = 0.03), which became evident approximately a year after surgery. In conclusion, the procoagulant phenotype of blood group AB is associated with fewer transfusions and improved late survival after cardiac surgery. Whether this finding is related to fewer perioperative transfusions, a reduction in later bleeding or other mechanisms remains speculative. For members of the Cardiothoracic Anesthesiology Research Endeavors (CARE), Department of Anesthesiology see Appendix 1. A guest editor was appointed for this manuscript. Members of the Cardiothoracic Anesthesiology Research Endeavors (CARE), Department of Anesthesiology, Duke University Medical Center. Director: Joseph P. Mathew M.D. Anesthesiology: Solomon Aronson M.D., Katherine P. Grichnik M.D., Steven Hill M.D., G. Burkhard Mackensen M.D., PhD., Joseph P. Mathew M.D., Mark F. Newman M.D, Barbara Phillips-Bute Ph.D., Mihai V. Podgoreanu M.D., Andrew D. Shaw M.D., Mark Stafford-Smith M.D., Madhav Swaminathan M.D., Ian Welsby M.D., William D. White M.P.H., Lisa Anderson, Lauren Baker B.S., Bonita L. Funk R.N., Roger L. Hall A.A.S., Gladwell Mbochi A.A.S., Tiffany Bisanar R.N., Prometheus T. Solon M.D., Peter Waweru. Surgery: Thomas A. D’Amico M.D., R. Duane Davis M.D., Donald D. Glower M.D., R. David Harpole M.D., G. Chad Hughes M.D., James Jaggers M.D., Shu Lin M.D., Andrew Lodge M.D., James E. Lowe M.D., Carmelo Milano M.D., Peter K. Smith M.D., Jeffrey Gaca MD, Mark Onatis MD.